HomeKeratoconus – can I fly with contact lenses? A question we are often asked on our Facebook page and group and on Twitter- can I travel with keratoconus? Can I fly? Commercial airline cabins expose passengers to reduced atmospheric pressure, reduced oxygen availability, and dry air. However if you are careful there is no reason at why you cannot travel. One of the symptoms often described after flying is dry eyes, this is due to the dry atmosphere on board the aircraft. The relative humidity in most air-conditioned buildings is between 40 and 70%, which is ideal for comfort. On an aircraft however, the relative humidity may be as low as 20%. High water content contact lenses may dry out (hybrids, Kerasoft) and distort vision more than those with lesser water content. This problem is less apparent with gas permeable or scleral lenses. Drinking excessive amounts of tea, coffee and alcohol can make dry eye worse while you are flying. The air on planes is recycled and not always super clean. Decide whether you will actually wear contacts on the flight. 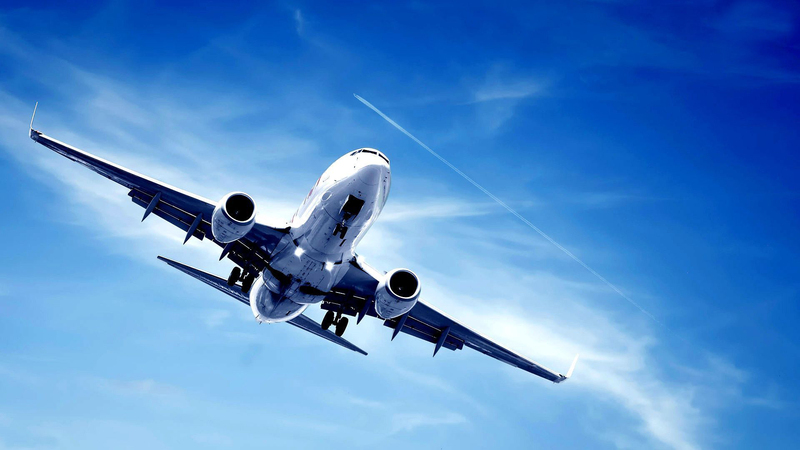 For many people, wearing contacts at high altitudes is unpleasant, and unless your flight is less than 4 hours and you’re not planning to sleep, it is generally not recommended to wear contacts, especially on long haul International flights. Just wear glasses, and if you do decide to wear contacts, don’t fall asleep and bring along solution in case your eye gets dry. Contact lens wearers may have to re-wet their lenses and should remove them prior to sleeping during the flight. If you are only going to be sleeping, maybe reading with the occasional stagger to the toilet- are the lenses really required? Let your eyes take a break. Passengers may carry small quantities of liquids, each of which must have a capacity not greater than 100ml, and this includes contact lens solutions. You can carry a contact lens case containing fresh lens solution in order that you may remove your lenses should you experience discomfort on the flight, so it is essential that you carry glasses if you also have them, in your hand luggage. Although it is perfectly safe to store spare lenses in hold luggage it is not advisable in case your luggage does not appear at your destination and you are stuck on holiday with no contacts to wear! 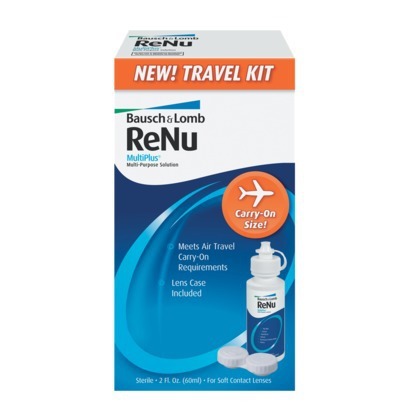 So pack your contact lens solution, rewetting drops and glasses in your carry-on bag to avoid issues if your checked-in luggage is delayed or lost. New liquids rules effective 31 January 2014 – what are the changes to the liquids rules? Starting from 31 January 2014, duty free liquids, aerosols and gels purchased from any airport or airline may now be carried as hand baggage. However, these must be sealed at the time of purchase with the receipt inside a security tamper-evident bag. Following the initial x-ray scan, security officers may also need to carry out additional checks. Exceptions to the 100ml restrictions for liquid medicines and special dietary products, such as baby food, remain in place. However, following x-ray screening, security officers may also need to carry out additional checks on these items. Passengers should continue to present liquids in containers of 100ml or less in a single, transparent, resealable 1 litre plastic bag. Can I carry disposable contact lenses or contact lens solution in my hand baggage? Yes, but the standard liquids rules apply. Each solution container or lens packet must have a capacity no greater than 100ml and must fit inside your transparent liquids bag. Instillation of lubricating eye drops approved for use with contact lenses may help relieve some eye dryness during flight. Keep in mind that the United States (US) Department of Homeland Security’s Transportation Security Administration (TSA) limits the size of any liquid container carried on board an airplane to a 3.4 ounce (100ml) bottle or less. Take extra lenses with you in case of loss. Put those in your hold luggage. Some countries, like France, require a prescription to buy replacement lenses. Others, like Italy, do not.